Built By Brett, Inc. is a family owned custom home building business. We offer an all inclusive, client centered, custom tailored home building experience. Each client has a unique set of needs and wants. Brett's 30 years of meeting and exceeding those expectations will make your building project a success. From start to finish, quality workmanship and customer service are top priorities for each project I undertake. I strive to ensure that my clients are at ease with the process, and enjoy their home-building experience; by simplifying the decision-making requirements, I help take the burden off of your shoulders. Trust, respect, and good communication are essential between a builder and his client, and I will do all I can to develop and maintain that good relationship. Many of the individuals I have worked with have become true friends; I believe they would say the same, as you will see as you read through some of the testimonials that I will share here. Whether you already have a house plan that meets your needs, or want to create the plan of your dreams, I am ready and willing to help. I can work with a designer to develop your ideal floor plan and an attractive elevation, while being mindful of the little details that make a home functional and unique. Each client has specific wants and needs, and the “cookie-cutter home” mentality does not fulfill those requirements. Coming up with fresh ideas and designing distinctive features are challenges that I enjoy and implement in each home that I build. With the “green” mindset becoming more and more prevalent, there is an increasing demand for environmentally friendly products. These options go beyond energy efficient appliances or water heaters. The use of reclaimed wood flooring and beams, geothermal heating and cooling systems, and foam insulation can blend seamlessly with the other features of your home while making it more comfortable, attractive, and efficient. Although some of these products may require a higher initial investment, they will more than repay over time. I can show you the options that would be best for your house and situation, and discuss the pros and cons of each, helping you make the right decision for your home and family. Whatever your building needs or dreams may be, I look forward to visiting with you. It would be an honor to build your home! Our goal at Doug Pitts Construction is to build homes that reflect the lifestyle of our clients. Fun projects, neat ideas and things outside the box are right up our alley. "It is said that a man's home is his castle – J. Russell MacLachlan Custom Homes & Remodeling have been building both for more than 200 years." Beginning in Scotland over two centuries ago, our homebuilding craft has been passed down father to son without interruption. J.R. MacLachlan Custom Homes is a design-build, 7th generation home building company. Rusty currently continues to serve in building and community leadership positions including Past President of the HBA of Greater Springfield. Rusty is also a Certified Active Adult Specialist in Housing (CAASH) and holds a BS in Business Administration from the University of Central Missouri. "We would love the opportunity to meet with you to discuss building your personal castle or remodeling your existing home to your satisfaction." At Quality Remodeling, we provide a custom building experience tailored to each home owner's unique vision. Through our integrated design build approach, we are able to simplify the construction process and deliver a high quality product within each client's needs. We are leaders in establishing trust and creating transparency with our clients to ensure each build exceeds expectations. We build High Performance custom homes that are Zero Energy Ready. Exterior walls and roof are constructed with a Energy Saving SIP Wall Thermal Buffer, and foundations are an Energy Saving ICF Thermal Buffer. In accordance with Department of Energy standards, our houses are in the top 1% in the nation for energy-efficiency, and are stronger, safer, and healthier than houses built with standard construction. We have a V.A. Builder I.D. number for clients getting a V.A. loan. Energy-Smart Construction, Inc. is a Northwest Arkansas-based general contractor. We build quality structures for the long term, while conserving the environment. As such, we embrace environmentally-sound business practices. These include recommending and using renewable building materials, implementing energy-saving techniques, and recycling building materials at our project sites. Hello! Thank you for visiting our page here on Houzz. My name is Joe Nothum and I am the owner of Nothum Group Homes. 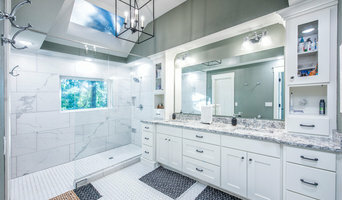 I have been in the home building business for over 15 years and have focused on building custom homes, major home renovations, additions, and kitchen and bathroom remodels. At Nothum Group Homes we want to deliver you with exceptional quality on your dream project or home. Our goal has always been to be the contractor homeowners can rely on to achieve their dreams and have a great building experience. Building your dream home, kitchen or bathroom should be a fun and exciting experience and that is what Nothum Group Homes does. You will find that completing your project will be done with pride, quality, and at a fair price completed in a timely manor. From my past experience with many custom projects and my college education in Construction Management, unique projects are what I have really come to enjoy. Whether it's a modern or contemporary design, craftsman or rustic, or even traditional; Nothum Group Homes uses the latest and best building techniques to complete the job. Paired with my education, I have been very familiarized with green building and energy efficient techniques. Thank you for visiting our page. We look forward to hearing from you and working on your next project! Visit our website at www.nothumgrouphomes.com or check out our Facebook page at www.facebook.com/NothumGroupHomes and give the page a like! When your ready to step away from the ordinary. From new home to renovation, interior and exterior, Vita Bella Homes makes it happen. Using our team approach to custom building and luxury renovation, our detail-driven professionals will create the custom details you envision in your home. Vita Bella Homes has been meeting the changing needs of Springfield area home buyers for over 12 years. Our attention to quality and detail has afforded us a reputation as one of the area's premier custom home builders and renovators. Whether you are working from the ground up, looking for an exisiting home, or updating your current home, we will make your dreams a reality. Custom design build contractor. Hands on from foundation to finishes. Exceptional, high-quality homes are not built by accident. They result from professional planning, attention to detail and expertise at every stage of construction. 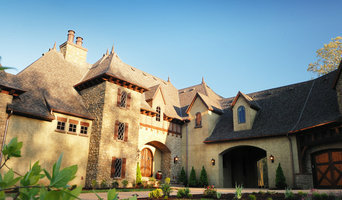 Throughout the Ozarks, Millstone Custom Homes has earned a reputation for building exceptional homes. Every home we build is crafted with passion and professionalism. With more than two decades of design-build experience, you can take comfort in knowing we have the expertise to build your ultimate dream home. You will experience the Millstone difference when you walk into one of our custom homes and look around. No two Millstone homes are alike. Each home we build is designed with all your preferences in mind. As a second-generation builder, Sam Clifton has dedicated most of his life to learning his trade. As a boy, Sam worked for his father’s construction company. From pouring cement foundations to installing drywall, Sam learned every aspect of the building process. To further pursue his passion for building, Sam also earned a Construction Management degree from Missouri State University. While completing his formal education, Sam continued to learn on the job, building houses with his father. AWARDS & RECOGNITION •Member of Home Builders Association of Greater Springfield (HBA) •Awarded HBA “Builder Member of the Year” •Board Member of Springfield HBA •Vice-Chairman of HBA Green Committee, awarded Certified Green Professional designation from the National Association of Home Builders •2012 Design Excellence Award Winner by Residential Design + Build Magazine for Custom Home Development; Development included custom homes and infrastructure (streets, sewer, utilities, and landscaping). •Multiple Awards for 417 Magazine “Home of the Year” •Missouri State University Foundation Member •Awarded “40 Under 40″ by the Springfield Business Journal •Board Member of The CoxHealth Foundation •Multiple Winner of 417 Magazine “Featured Home” •Awarded 417 Magazine “Yard of the Year” •Nixa Public Building Corporation Board Member •Christian County Permitting Board Member •Annual participant of the HBA Home Show – Springfield & Branson •Annual participant of the HBA Parade Show •Bachelor of Science from MSU, in Construction Management •Residential and Commercial Construction Expertise •Selected by ABC television’s Extreme Makeover: Home Edition as Lead Builder for two episodes, one in 2009 and the other in 2011. We specialize in custom homes. We are a design-build firm which means we can offer architectural drafting and design, or we can build with your plans. We "tailor" the project to your wishes, not ours. We keep our clients completely informed on the project with real time access to the budget, the schedule, and the selections needed. Have you dreamed of having a home built that was just perfect for you and your family? That dream is easier to achieve today than ever before. Hawthorne Creek Homes is now building in Copper Leaf Subdivision in Nixa, MO. With several floorplans individualized to meet your needs, and many lots available, Hawthorne Creek Homes is providing a fresh, attractive choice for home buyers weary of the over saturated home choices available in today's market. Owned and operated by Stan and Regina Gutshall, Hawthorne Creek Homes, has over 30 years experience in new home construction. Having built homes in California and Las Vegas, they've decided to bring their innovative ideas and techniques to Springfield, MO, after falling in love with Southwest Missouri during a trip in 2007. Visit our model home and experience the quality construction and materials that make a, Hawthorne Creek Home, the best value in new construction available. For over 35 years JLB Const. has provided affordable Quality work for its clients. From a new water heater to a new home and everything in between. Reliable dependable and Professional. Give us a call for a free estimate. For Highlandville residential home builders who also act as developers, the job starts well before the first nail is driven. They perform local market research to determine whether the prospective homesites make sense in the Highlandville, MO market, as well as survey the land on which the house will be built to make sure it is suitable for construction. Custom builders also obtain the necessary permits. A good custom home builder in Highlandville, MO has skills that go far beyond construction — he or she must supervise subcontractors and artisans; keep tabs on local zoning regulations, building codes and other legalities; inspect work for problems along the way; and perform dozens of other roles that are essential in building a quality house. Here are some related professionals and vendors to complement the work of home builders: Interior Designers & Decorators, Landscape Architects & Landscape Designers, Architects & Building Designers, Kitchen & Bath Designers, Specialty Contractors. House builders are responsible for ensuring that the home-building project sticks as closely as possible to the specified timetable, particularly in the event of change orders. Custom and luxury home builders in Highlandville, MO also need interpersonal skills to deal with clients of all types, soothe frazzled nerves, negotiate conflicts and resolve problems. Find custom home builders in Highlandville, MO on Houzz. Narrow your search in the Professionals section of the website to Highlandville, MO home builders. You can also look through Highlandville, MO photos to find a house you like, then contact the builder who worked on it.